View Day 2 Prize Presentation on Facebook. 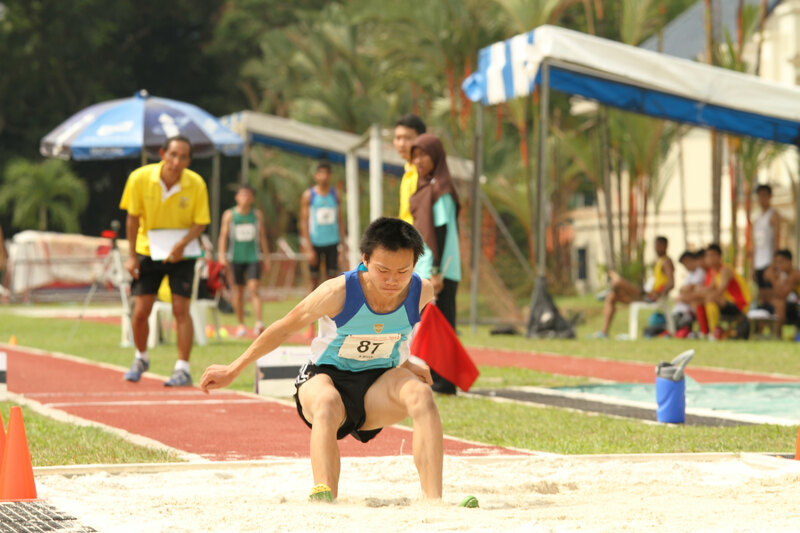 Chan Zhe Ying of CJC pulled off a surprise win in the triple jump A-boys category as his effort of 13.71 metres edge out favorite HCI’s Joshua Hia. 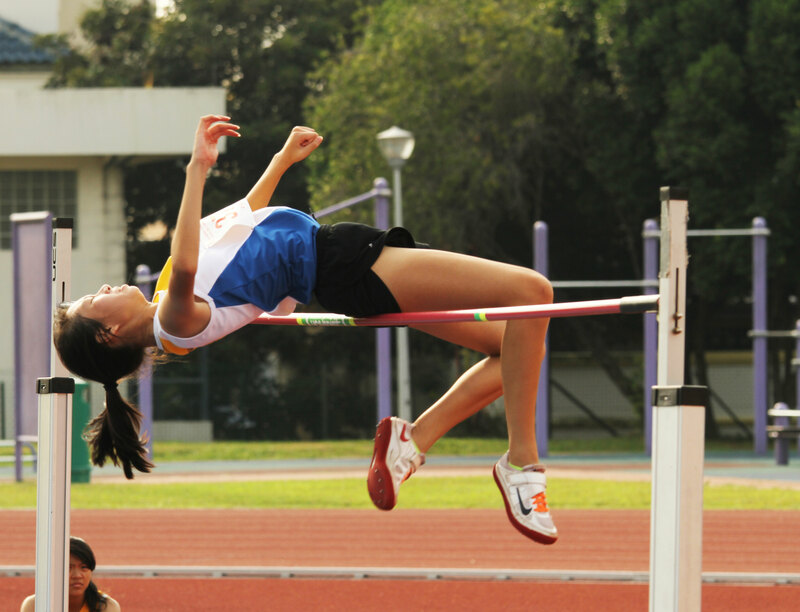 Chan whose last season-best was only 12.55 metres, an 8th place finish last year in the same competition. Chua Ding Zu of Singapore Sports School emulated teammate Jezebel Koh’s previous day gold winning performance in the girls triple jump. 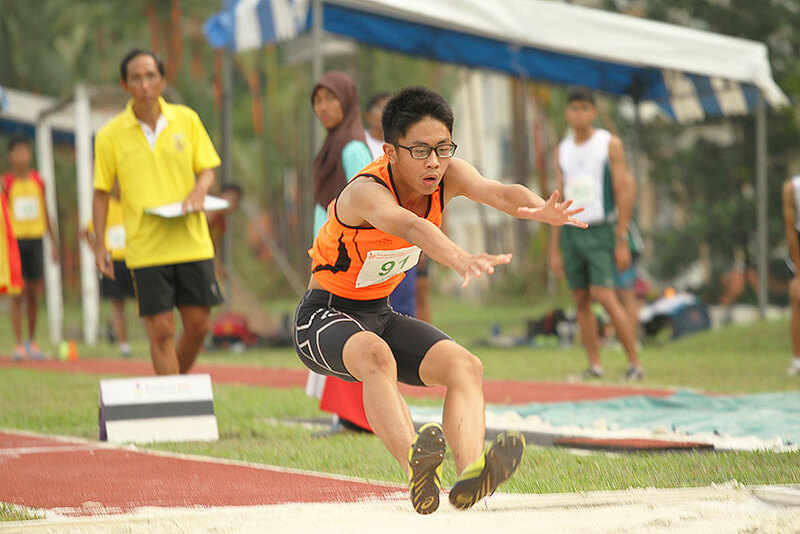 Chua hop, skip and jump earlier in the day to a distance of 12.21 metres for his boys event. Both of them are from SSP, in the C division category. 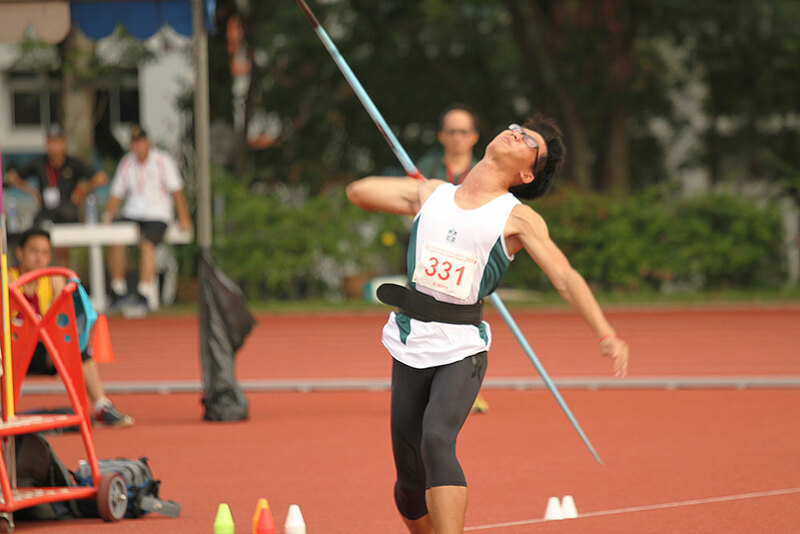 Daniel Lim of SJI surpassed the big five zero distance for the B-Boys 700 grams javelin throw event. In fact he was the only boy to do so in the field. His 50.23 metres effort improved his last season best performance of 45.55 metres. 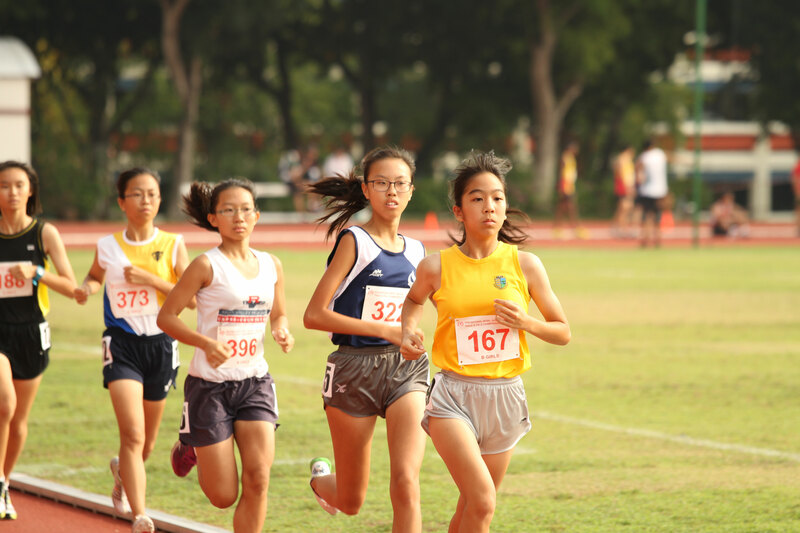 Nah Yi Xin of Cedar Girls’ Secondary School was the only girl athlete in her B-Girls 3000 metres category to run below 12 minutes, her timing 11:50.93. She leads the field going into the final to be held this coming Monday. Kon Pei Ying of NYGH who won bronze last year in the B-Girls high jump event, this time round she secured the gold medal for the all-girls secondary school with an effort of 1.53 metres.